» The Arc’teryx Kyanite Review – A Great Jacket for Outdoor Enthusiasts! The Arc’teryx Kyanite Review – A Great Jacket for Outdoor Enthusiasts! 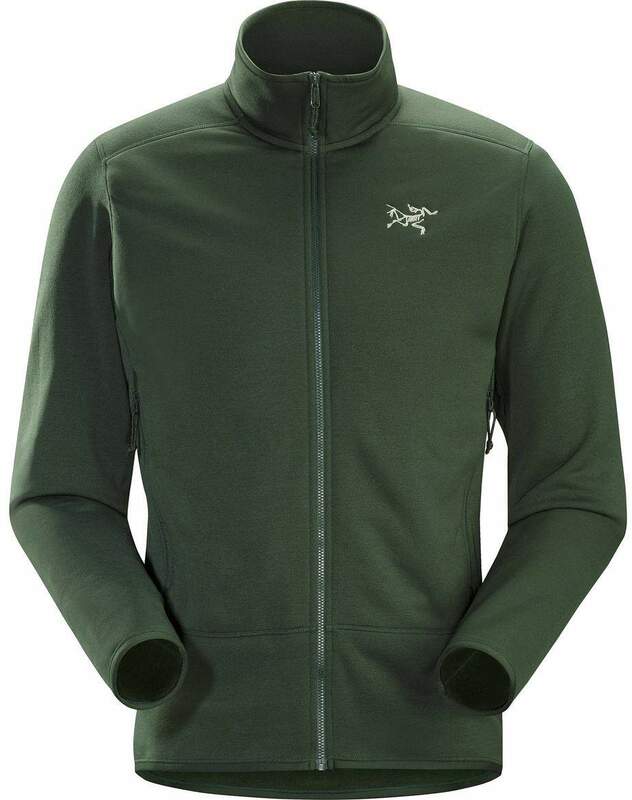 The Arc’teryx Kyanite jacket is an outdoor enthusiasts’ dream when it comes to protection and flexibility. Exploring wild landscapes and adventuring on long trails throughout nature requires that you take preemptive measures to ensure your safety at all turns. The textile engineers over at Arc’teryx have created a robust solution for all of your outdoor exploration needs. The Arc’teryx Kyanite jacket was designed to withstand virtually anything that you throw at it. At its very core, the Arc’teryx Kyanite jacket uses GORE-TEX technology to deliver superior outerwear performance. From the design stage to the production line, the Arc’teryx Kyanite uses a very intricate process that is tightly knit from the product itself to the very factories that its made in. We’re going to review the Arc’teryx Kyanite jacket in-depth throughout the rest of this guide. Every aspect of the Arc’teryx gear will be broken down intensely so that you can make an educated purchase decision. By the end of this guide, you’ll be impressed at how much painstaking detail is put into the manufacturing of the Arc’teryx Kyanite jacket to deliver the performance you need while exploring nature. Q: What if I’m not satisfied with my Arc’teryx Kyanite? Can I return it? Q: If I return my Arc’teryx Kyanite outwear piece will I get a refund? Q: How much does shipping cost and which countries does Arc’teryx ship to? Q: Do I receive a tracking number for my Arc’teryx shipment? Q: Does the Arc’teryx Kyanite come in men’s and women’s sizes? Q: Does Arc’teryx offer kids clothing options? Arc’teryx is a Canadian company that primarily focuses on producing high-quality outerwear designed for those who are either voluntarily or involuntarily exposed to extreme natural conditions. At its core, Arc’teryx is an authentic brand of durable and resistant outerwear manufactured for both men and women. Arc’teryx is firmly rooted in the belief that products work best when they’re produced adjacent to their target consumer base. Their beliefs are reflected in the quality and sustainability of their product line which adds a sense of wholeness to the company overall. Their men and women outwear clothing options are vast and versatile providing the right protection for any outdoor terrain or climate. Since 1989 Arc’teryx has been manufacturing textile products comprehensively in their very own facilities. 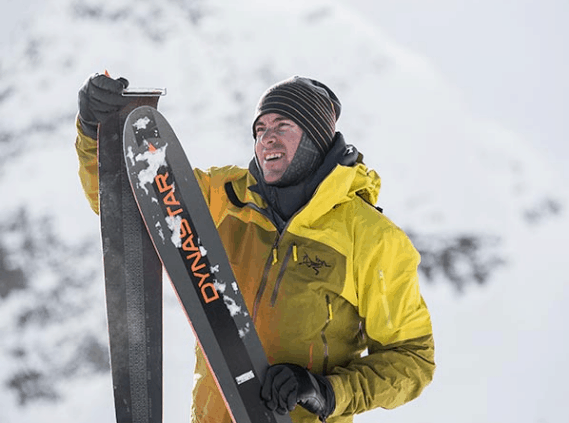 Before a new Arc’teryx product is released, it undergoes an intense testing phase that involves creating and destroying design concepts until they are filtered to near perfection. 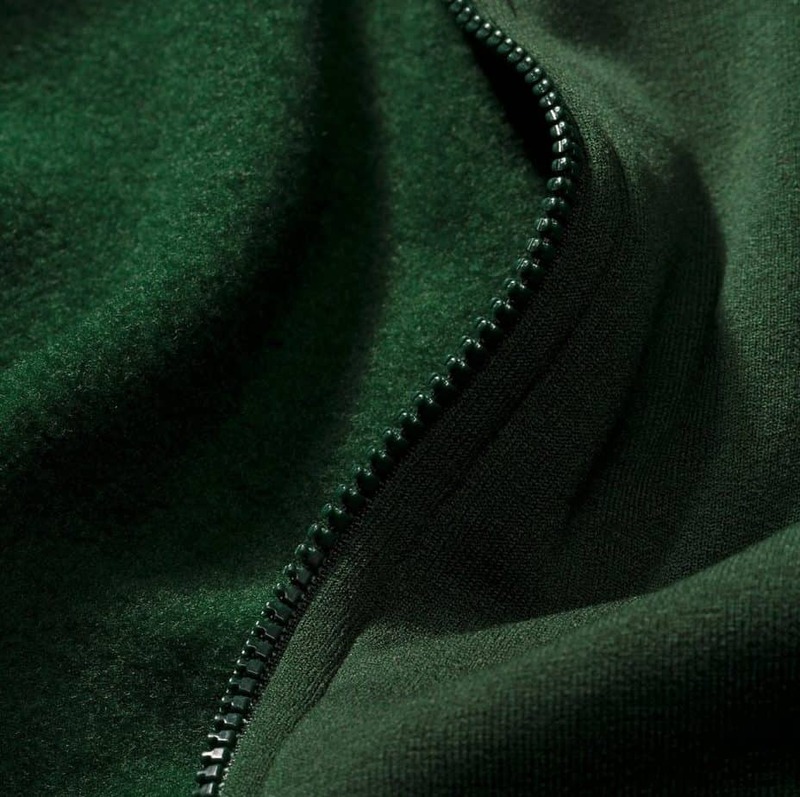 At the core of the Arc’teryx Kyanite jacket lies a key material, POLARTEC produced textiles. Arc’teryx has established a unique relationship with the heads of manufacturing over at POLARTEC which allows them to produce their highly resistant outwear line. 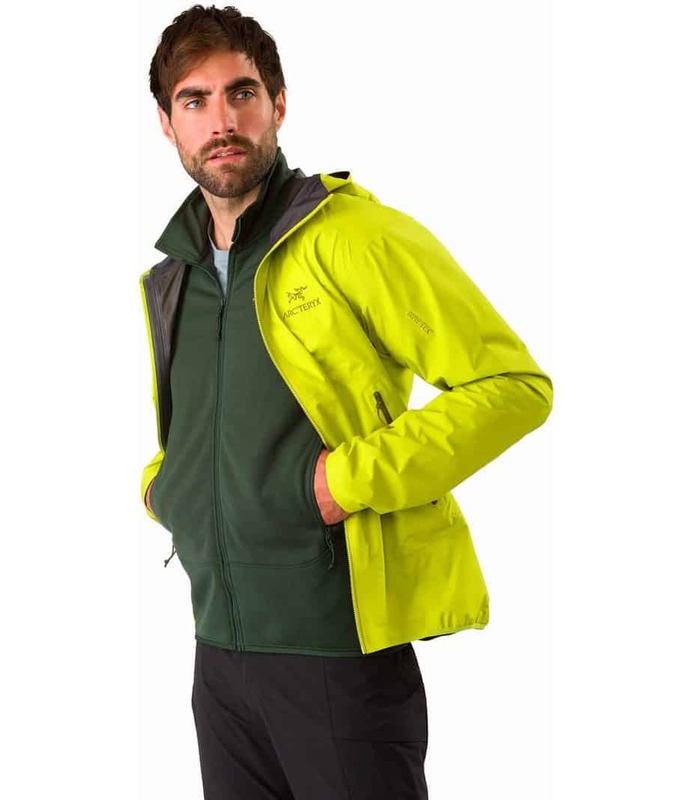 The Arc’teryx Kyanite jacket, in particular, uses a combination of unique fabrics that tackle issues such as body temperature regulation and moisture. The Arc’teryx Kyanite jacket features a unique design that is durable yet lightweight which makes it great for long outdoor adventures. Each Kyanite design comes in an array of color options and sizes to fit the needs of anyone interested. The unique POLARTEC fibers that the Arc’teryx Kyanite uses are crafted with practical use and functionality in mind. Even with its relatively light weight, the Kyanite manages to perform efficiently alongside heavier materials used by manufacturers who produce clothing similar to Arc’teryx’ outerwear. POLARTEC textile materials are specially crafted with safety and thermal managing properties. These materials provide a solid base for high-performance outerwear that is built to last. POLARTEC fabrics have very unique design elements incorporated into each variation for specific applications. These applications can range from military use and flame resistance to insulation and protection. Arc’teryx Essentials are materials that are produced for high-performance situations of all sorts. Carefully selected fabric compositions are woven together in order to create textiles that can be used in active and outwear. Arc’teryx Essentials are woven into every Arc’teryx product to add flexibility and sustainability to the clothing. The Arc’teryx Kyanite was produced for those who need a light, abrasion resistant, moisture-managing jacket for harsh climate conditions. The design of the Kyanite itself takes into consideration the shape and mobility of the human body, its contoured edges make the jacket comfortable to wear and technically capable. Versatility is at the forefront with the Arc’teryx Kyanite which is visible in its non-restrictive wrist and waist lining. The Kyanite product line uses Polartec Power Stretch Pro material that provides dexterity while maintaining a comfortable hold on your natural form. The versatility of the Arc’teryx Kyanite line provides complete protection for your body under stressful conditions. 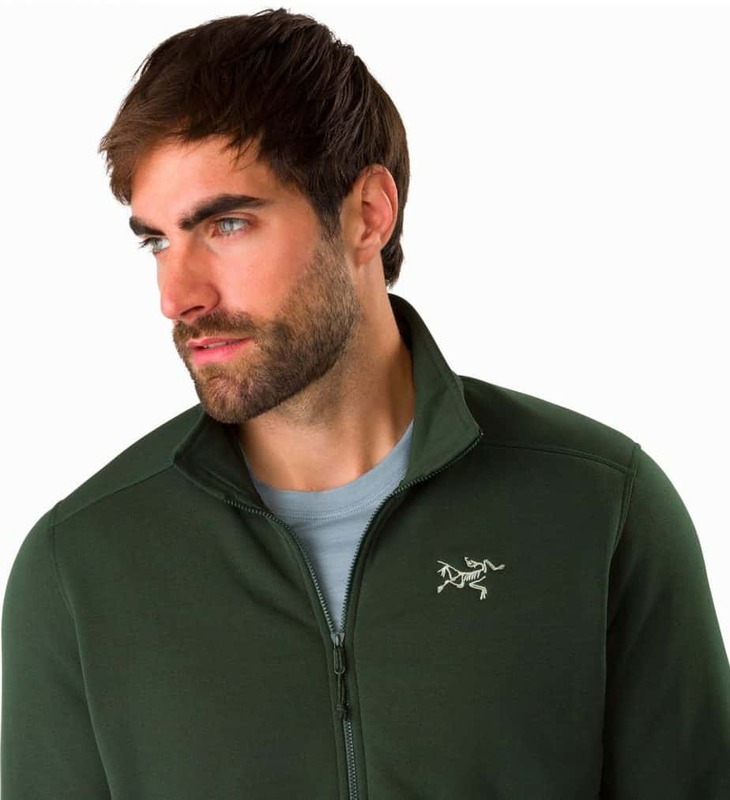 The Arc’teryx Kyanite features No Slip Zip technology that ensures your zipper stays closed during stressful activity. It is quite common for your zipper to become undone when hiking, exploring, or doing anything active. The engineers at Arc’teryx recognized this issue and provided a concrete solution that solves this problem for Its consumers. The Arc’teryx Kyanite features ScubaHood technology which is at the core of the hood on the jacket. ScubaHood technology uses design elements traditionally applied in the manufacturing of products used for diving. The intricate textile fibers are water resistant and thermal regulating. The end result is a snuggly fitting hood that provides warmth and protection from excess moisture. Polartec® Power Stretch® Pro material uses nylon fabric to provide an abrasion resistant layer for your body. The weaving used to create Polartec® Power Stretch® Pro fabric is a four-way pattern designed to provide ultimate flexibility and agility. Polartec® Power Stretch® Pro is a fully functional material that is capable of withstanding the toughest demands you put on it. 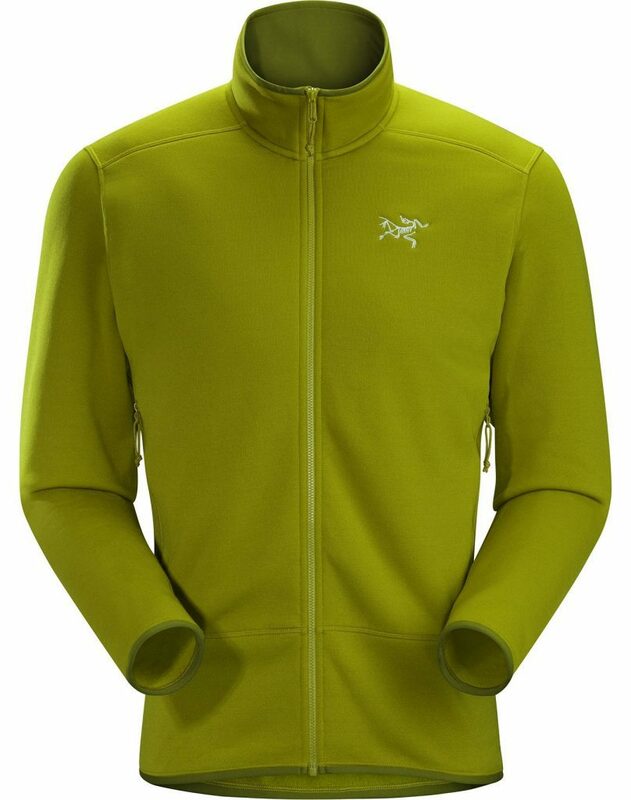 The Arc’teryx Kyanite is loved by many people who have purchased the product. Arc’teryx as a brand itself has established a trusted reputation for producing durable outwear clothing. The Kyanite product line is no different, one of the main challenges’ outdoor enthusiast face when shopping for active wear is finding the right fit. Traditional outwear and activewear brands manufacture clothing with technical aspects in mind while often times sacrificing comfort. Arc’teryx has become notorious for making activewear clothing that combines comfort and functionality seamlessly. The Arc’teryx Kyanite comes in a men’s and women’s variation with very similar stitching that flows with the body. When it comes to size, large hips may cause the material used in the Arc’teryx Kyanite line to become more fastened to the skin. While it’s not a huge complaint, it’s still noteworthy to take into consideration before buying. The Arc’teryx Kyanite was designed for practical use, the converging aspects of Its design and material make it a very functional outwear piece. Its minimalistic design allows you to either wear it as a standalone piece or underneath your clothing of choice. This feature alone makes Arc’teryx Kyanite capable of adapting to various conditions effortlessly. The Arc’teryx Kyanite is made from Polartec® Power Stretch® Pro nylon, this material is very stretchy which makes it resistant to tears and rips. The unique manufacturing process involved with creating the material also gives the Kyanite resistance to abrasive contact. This feature is very useful especially for those encountering large wooded areas or mountains. The Arc’teryx Kyanite uses proprietary textile technology that aids in the process of body temperature management. The perfect combination of lightweight fabric and moisture resistance combine with breathable fabrics that insulated heat while controlling cold air circulation. Body temperature regulation is very important when it comes to long nature adventures and expeditions. The Arc’teryx does a great job at balancing heat, cold, and sweat to provide you with the freedom you need. The Arc’teryx Kyanite uses material created with the intention of being constantly exposed to water. When water makes contact with the fabric on the Arc’teryx Kyanite, it beads ups and simply rolls off. This makes it easy for you to traverse wet climates without retaining excess moisture that can weight you down on your adventures. The Arc’teryx Kyanite was created with abrasion resistant fibers woven into the fabric of the garment. When exploring rocky mountain ranges and forests, it’s not unusual to snag your clothes on loose branches or pointed object. The slightest tear or rip in your outerwear while exploring the outdoors can put you in significant danger. The Arc’teryx Kyanite uses abrasion resistant material that puts up a formidable fight against a wide range of sharp objects. This gives you full coverage against any threat that may be on your path while exploring the great outdoors. The Arc’teryx Kyanite is made from four-way woven stretch fabrics that will adjust to your movements seamlessly. The problem with traditional fabrics is that they provide little to no flexibility in terms of room for your body and accessories. This can lead to issues with productivity and efficiency when out in nature rendering you incapable of property adapting to changing conditions. 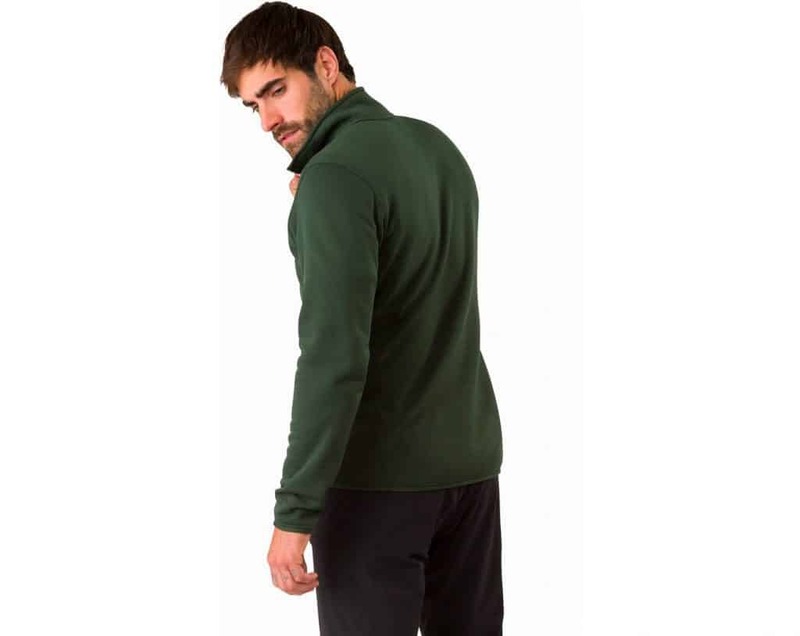 The Arc’teryx Kyanite solves this issue by giving you the ability to move freely inside of clothes that adjust to you. The extra space achievable with the Kyanite stretch fabric allows you to adapt quickly and comfortably to virtually any situation. One of the main highlights of the Arc’teryx Kyanite is its ability to manage moisture retention. When engaged in strenuous activity, it is quite common to start sweating. Sweat can build up inside of your clothing materials causing bad odors, added weight, and skin irritation. The Arc’teryx Kyanite fixes this issue with custom moisture wicking technology the evaporates sweat from the very depth of the fibers. This allows the Arc’teryx Kyanite to adequately manage moisture levels while keeping you dry and fresh on your adventures. Let’s take a look at some of the pros and cons of the Arc’teryx Kyanite so you can make the right purchase decision. Flexible Material- The custom nylon textile used during the manufacturing process is very flexible yet durable. Breathability- You’re able to perform physically demanding tasks without being swayed by overheating. Lightweight- The Arc’teryx Kyanite is very lightweight which reduces the amount of stress on your body than traditional textiles can add. Abrasion Resistant- The Arc’teryx Kyanite was designed with physical contact in mind, its unique interwoven fabric provides a powerful protective barrier against abrasions. Water Resistant- The Arc’teryx Kyanite is made from moisture wicking material that minimizes the amount of water that can be trapped within the fabric. This provides an added layer of protection against stains or unnecessary water weight. Non-restrictive Design- The Arc’teryx Kyanite uses a free-flowing yet firm fitting design that delivers maximum mobility. Freedom of movement is very important when traversing different climates and habitats. The Kyanite deliver the perfect balance of movement and protection to take on the toughest of challenges. Various Style Options-the Arc’teryx Kyanite comes in an array of design styles and fitting options. You can choose a traditional jacket variant with a hood, a vest variant, or a hoodless jacket variant. This amount of versatility is rarely found within a single outerwear line which makes the Kyanite stand out. These various design styles make it easy for everyone to get the right protection catered to their specific needs. Wearable Customization- Because the Arc’teryx Kyanite was designed with versatility in mind, the creators made the Kyanite so you can choose how you want to wear it. Its durable fabric makes it a stand-out single clothing item however given its thin design you can easily wear it underneath your clothes for added protection. Thin Fabric- The Arc’teryx Kyanite is undoubtedly made from long-lasting material however it is much thinner than traditional textiles. While it’s not a huge concern, it is worth noting so consumers can make precise purchase decisions. No Extra Layers- The Arc’teryx is very minimal in its design which is great for free movement and breathability. However, being that the jacket itself was made to be thin there aren’t any heavy outer layers to protect from non-abrasive impacts. No impact protection- As previously stated, the Arc’teryx Kyanite doesn’t contain any direct impact protection. This is not a huge deal however since you can easily add more layers over it or choose another Arc’teryx product line. If you’re interested in getting your hands on an Arc’teryx jacket, you may want to begin your search online. Due to the extremely target niche market that the Arc’teryx is designed for, you can’t find the product line in most traditional retail stores. While this does make it difficult to try on the product before buying, the convenience of online shopping makes it easy to obtain the Arc’teryx Kyanite without leaving your house. Sizing for Arc’teryx products is traditionally very anatomically accurate, in combination with the stretch material you shouldn’t run into many issues. Just be sure to read the sizing chart on the website you choose to buy the Kyanite from before finalizing your purchase. Aside from Arcteryx’ main site, there are a lot of online retailed like Rel who sell the Arc’teryx Kyanite. You can also find the Arc’teryx Kyanite in traditional sports and outdoors store who solely focus on activewear clothing. Choosing the right fit for your body when shopping for clothes is essential, Arc’teryx makes it easy to find the perfect size. If you order an item from their main website, you’ll have access to a detailed sizing chart with measurements. This will allow you to exact the perfect size fit for your body with precision, so you won’t have to worry about the Arc’teryx Kyanite being too small or too large. You probably have a few questions regarding things such as return policy and shipping times before you buy. To get the answers you need, continue reading below where you’ll find detailed information about Arc’teryx buying conditions. Each Arc’teryx item is designed with specific goals in mind, take this into consideration when selecting your size. Some jackets are designed with a bulkier fit as opposed to slim-fitting jackets designed for mobility. Arc’teryx puts a painstaking amount of effort into ensuring that all measurements are an accurate representation of the item individually. This means that regardless of what item you buy, the sizing chart will always be measured appropriately. 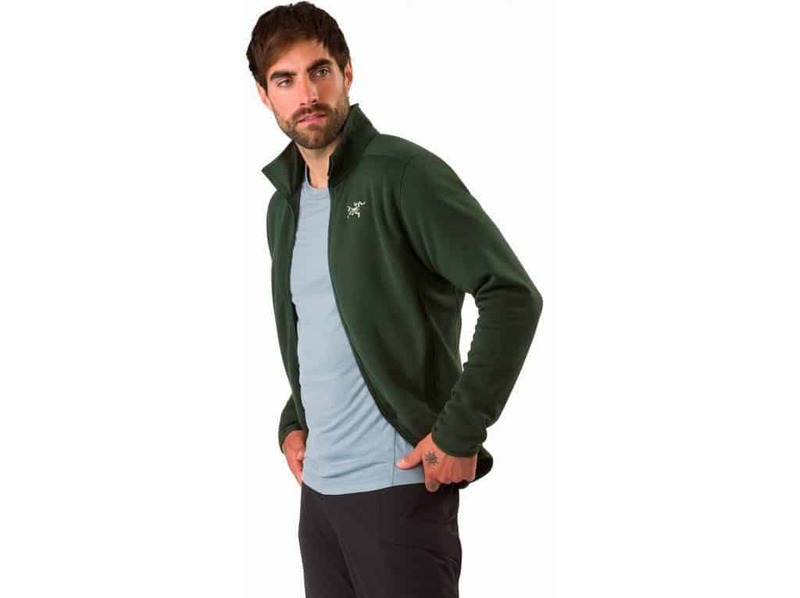 A: Yes, if your purchase an Arc’teryx Kyanite outwear piece from the official Arc’teryx site you have 60 days after the original purchase date to return it. A: Yes, refunds are processed in the form of the original payment method and Arc’teryx will refund you the total purchase price of the item. Arc’teryx typically refunds the total purchase amount within 5-7 days of receiving the returned item at their warehouse. A: Arc’teryx offers free express shipping on all of their products and it usually takes about 2-3 business days to receive your order from the date of purchase. Arc’teryx ships to a plethora of countries including Czech Republic, Finland, Netherlands, Belgium, Spain, Japan, Italy, Switzerland, Poland, Austria, France, Norway, Denmark, Sweden, Ireland, UK, Germany, USA, and Canada. A: Yes, all Arc’teryx orders come with tracking numbers that are sent via email typically 1-2 business days after purchase. A: Yes, the Arc’teryx Kyanite comes in both men’s and women’s sizes so regardless of gender you can get the coverage you need. A: Unfortunately, Arc’teryx does not currently manufacture kids’ items or clothing pieces. However, with advancements in their textile production happening every day, you never know what to expect in the future. Arc’teryx products require special cleaning agents to ensure the sustained quality and functionality of the material. The Arc’teryx Kyanite is layered with various water repelling substance layers and other materials. Traditional washing techniques can damage these protective barriers and ruin the quality of the jacket as a whole. To avoid that, you should always take extreme precaution when washing your Arc’teryx Kyanite to maintain its quality. The best way to wash and clean your Arc’teryx Kyanite is by visiting the official Arc’teryx website where you can find detailed care instructions. Arc’teryx offers a slew of different cleaning products and solutions specially designed for each of their unique product options. By using these solutions, you’ll be able to maintain the durability and resistance of your Arc’teryx Kyanite for years to come. Arc’teryx provides a pretty impressive warranty for all of their items which allows you to either get a replacement or repair. The guidelines surrounding the Arc’teryx warranty is pretty strict before any replacement or repair service is offered your garment will undergo an intensive examination. This is to ensure that the product meets the necessary requirements to qualify for coverage under the Arc’teryx limited warranty. Arc’teryx items that are submitted under warranty for replacement due to wear and misuse are automatically disqualified to receive warranty coverage. Items deemed to be damaged due to neglect or misuse are still eligible for repair however it will come at a cost. The Arc’teryx warranty is designed to protect products that have been affected by manufacturing errors. The good news is that Arc’teryx provides practical product lifespan coverage for their Kyanite line. This basically means the typical wearable lifespan of the product is used and cared for following all proper procedures. When returning or submitting an item for a warranty claim, you must pay all costs related to shipping the item to Arc’teryx facilities. Depending on the outcome of your claim, Arc’teryx will cover all returning shipping costs so you’re not paying double for the same item. For more information about the Arc’teryx warranty visit their official site. There are a ton of outdoor activewear brands out on the market today, what separates Arc’teryx is their dedication to making activewear products that work. Before purchasing the Arc’teryx Kyanite, ask yourself if it truly features all of the design elements most important to you. Arc’teryx offers a huge product catalog that includes activewear, outerwear, footwear, gloves, totes, hats, shorts, and more. The Arc’teryx was designed specifically with those who want comfort, protection, and flexibility in mind. The Arc’teryx Kyanite is perfect for individuals who want a fluid jacket that is thin yet very powerful in its resistance to the elements. The roomy fabric provides the perfect balance of temperature management and moisture retention. It’s water resistant coasting is great for people who are constantly traversing water and have to change clothes due to being soaked. 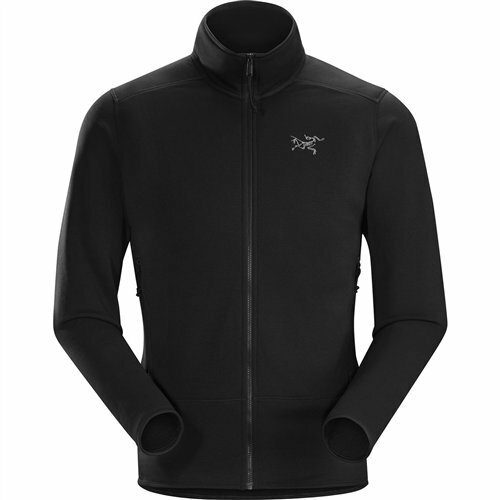 The Arc’teryx Kyanite does a great job at keeping your body warm, insulated and protected. The uniquely engineered materials used in its creation combine to create a powerful layer of mobility and efficient movement. It’s rare that you find an outdoor clothing product which successfully blends together the best of a different world into a practical product. The Arc’teryx Kyanite does just that and with added grace given its non-slip zipper and snug fit. Consider the activities that you’ll be participating in while wearing the Arc’teryx Kyanite before purchasing. This will help you gain a clear picture of whether or not this is the right product option for your needs. The Arc’teryx Kyanite is an amazing outerwear piece that was designed with all of your needs in mind. From the initial design phase to its final manufacturing stages you can visibly see how much attention to detail was put into making this robust garment. Being an outdoor enthusiast comes with its own set of unique challenges which makes finding the right clothing for your adventures critical. Arc’teryx really took innovation to the next level with their Kyanite product line. The combination of robust custom crafted materials creates a textile feel and look rarely seen in the industry. At its core, the Arc’teryx Kyanite is a lightweight jacket that is perfect for adventuring into wet, hot, damp, and rocky conditions. Aside from that, the Arc’teryx Kyanite delivers a refreshing approach to outerwear products. Nature enthusiast wants to feel protected and look cool at the same time without sacrificing any of the important things. Arc’teryx gets this combo right with the Kyanite line due to its modern look and comfortable fitting measurements. The flexible material used in the production of the Arc’teryx Kyanite allows your skin to breath freely. At the same time, the Kyanite fits firmly to your body so that you feel secure without being stifled by heavy impenetrable materials. The No-Slip Zipper design is a downright genius, it addresses a major problem that many outdoor enthusiasts face on a regular basis. With its patented technology, the zipper on the Arc’teryx Kyanite stays put while remaining easy to knowingly operate. This prevents any unnecessary exposure to harsh conditions which may pose a threat to your health. The moisture-wicking fiber woven into the Arc’teryx Kyanite regulates excess water weight with ease. 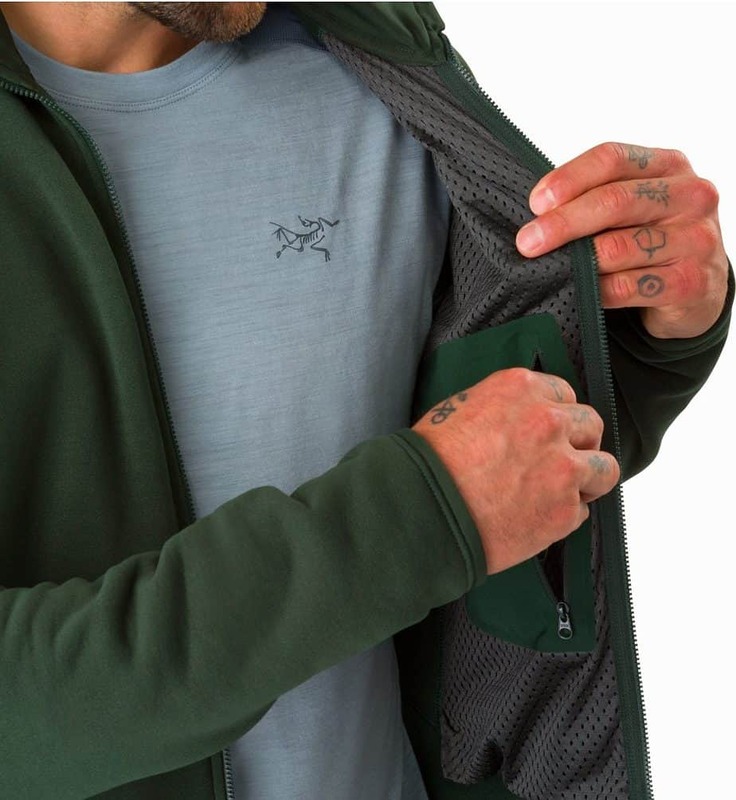 if you are tired of constantly having to change clothes due to excessive sweating or trapped moisture, the Arc’teryx Kyanite is perfect for you. Not only does the moisture wicking technology allow for clean and lightweight materials, but it also keeps your body cool or warm depending on the climate. This is a remarkable feat achieved by material that is thinner than most textiles used in similar products. Body temperature control is vital when exploring the outdoors, the Arc’teryx Kyanite is very efficient at making sure that you maintain adequate hydration and energy levels to complete your journeys. The weaving pattern of the Arc’teryx Kyanite is very unique and intricate, it’s four-way design protects your body from external conditions like no other. The abrasion resistant fibers work to resist penetrating forces or objects which can interfere with your activities. The ability to combine abrasion resistance, water resistance, and moisture control into a functional garment is something that Arc’teryx nailed with the Kyanite line. If you choose to purchase the hooded variant of the Arc’teryx Kyanite, you receive an added layer of all the above-mentioned benefits with more coverage for your entire body. The Arc’teryx Kyanite comes in a variety of color options also making it easy to incorporate your own style without sacrificing protection or coverage. Practicality is a major issue with outdoor enthusiasts, while some products boast innovative design claims they do not always meet the mark. The Arc’teryx Kyanite gets this right by incorporating materials that deliver on their intended purpose while giving you the flexibility to move how you want. There are so many small details that went into the production of the Arc’teryx Kyanite that you can’t help but be amazed at how well Arc’teryx was able to execute their idea. The Arc’teryx Kyanite is definitely one of the most robust, lightweight, accurate fitting, functional outerwear pieces I’ve seen in a long time. When compared to other products on the market, you simply won’t find a more complete and practical outerwear item as you see in the Arc’teryx Kyanite line. The Arc’teryx Kyanite product line is a set of durable, lightweight, specially formulated outerwear pieces that simply get the job done. When you’re out exploring wild frontiers and treacherous landscapes, you need to wear clothes that make you feel safe and secure. With the various design elements that are packed into the Arc’teryx Kyanite, you can rest assured that this product will do just that. Aside from simply making you feel safe, the Arc’teryx Kyanite provides real protection against natural elements which can be harmful to your well-being. From its built-in moisture management to its abrasion resistant layers, the Arc’teryx Kyanite is a superior piece of outerwear that serious outdoor enthusiasts will want to check out. Full range of motion is essential for outdoor adventurers and the Kyanite allows you to move freely while remaining calm, cool and collected. Before purchasing, make sure you read the sizing measurements to ensure that you get the perfect fit. It’s rare that you find an entire product line which delivers on its design promises while giving you extra value in the process. Every detail of the Arc’teryx Kyanite can be appreciated as you wear it because you slowly start to see all of the production steps serving a practical purpose. For a no-slip zipper, moisture control, cut-resistant, waterproof, stretchable, temperature regulating product to work, it has to be tested. Thanks to Arc’teryx intense developmental process, you can rest assured that all components will work without fault as soon as you put on the Kyanite. If you need a small lightweight jacket to protect your physical body and its internal function, the Arc’teryx Kyanite is a great choice. Purchasing the item is simple and shipping is free so there really is no downside to at least giving the Kyanite a try. If you’re not satisfied, simply return the item and receive a refund then proceed to browse through other Arc’teryx products which may be better suited for you. The Arc’teryx Kyanite is a design marvel, rarely do you see such as a well-crafted product that is able to live up to the hype. Whether it be in the mountains, extreme cold, forests, woods, or ocean the Arc’teryx Kyanite gives you the protection you need. The best part of all is that the Arc’teryx Kyanite gives you protection in all of the most important places. There are no unnecessary design placeholders which look great but serve no purpose. Every inch of fiber woven into the Arc’teryx Kyanite provides practical functionality and protection. If you’re in the market for a reliable long-lasting outwear jacket that is as robust as your adventures, the Arc’teryx Kyanite is a great option to consider. Take your outdoor explorations serious and get the coverage you need from a company and product that understands you. The Arc’teryx Kyanite is available on the official Arc’teryx website alongside other popular online retailers. Start adventuring the wild outdoors with confidence by trying out the Arc’teryx Kyanite product line for your explorations.